I love a deadline–it is what keeps me going in a lot of ways. But, what I love even more than a deadline is an EXTENSION. 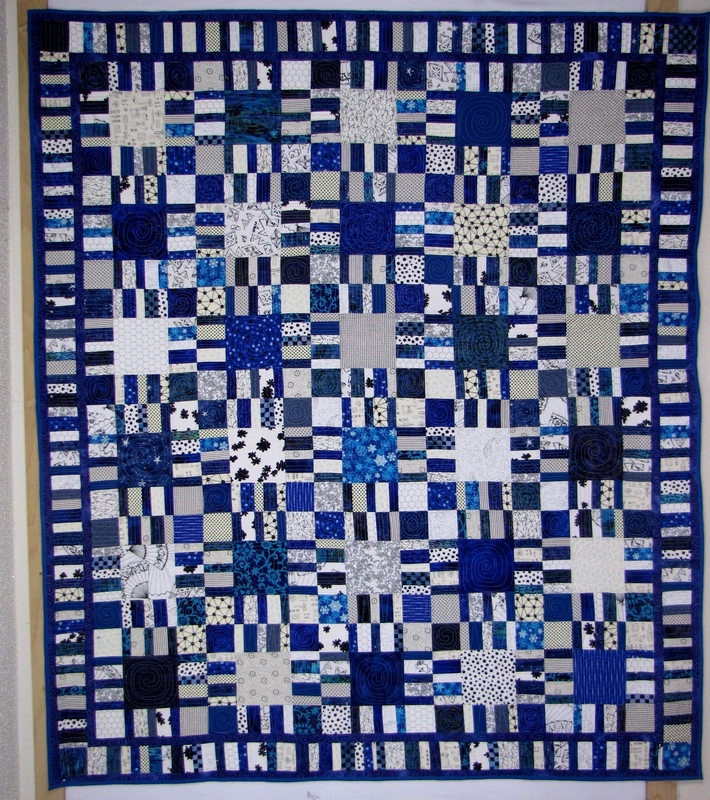 And being that the Great Alaskan Quilt Out is an imaginary event with an imaginary deadline, I gave myself an extension. No one that is getting a quilt even knows this project exists, so I will just keep stitching. Here are the last three Mystery Quilts. I wrote about the first three mysteries here. This is a super early one and a favorite. 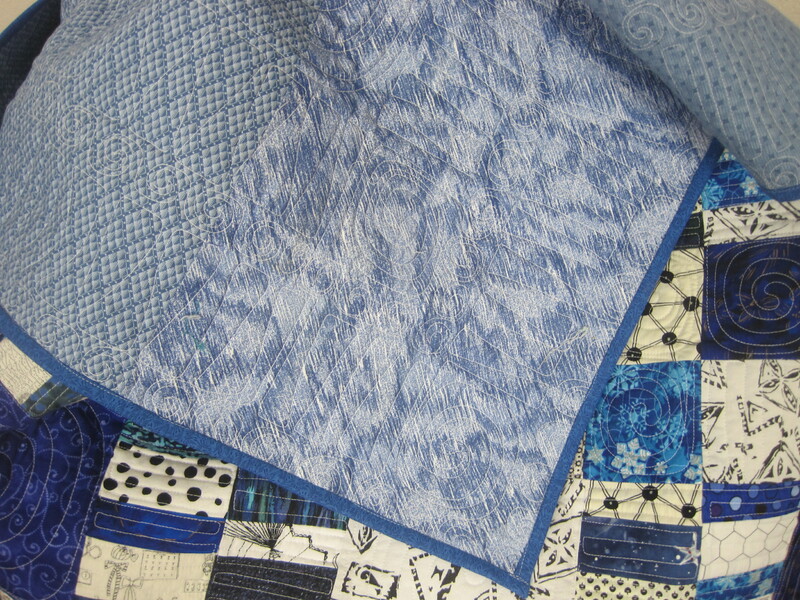 It is a rare example of me being able to pick the right fabrics without knowing what the final result will be. 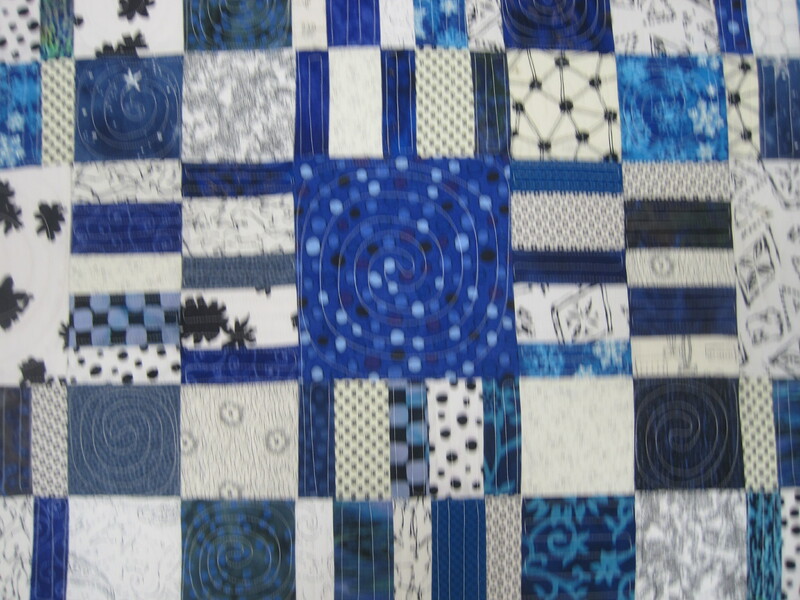 This is one of the few quilts I have made that I did not quilt myself. 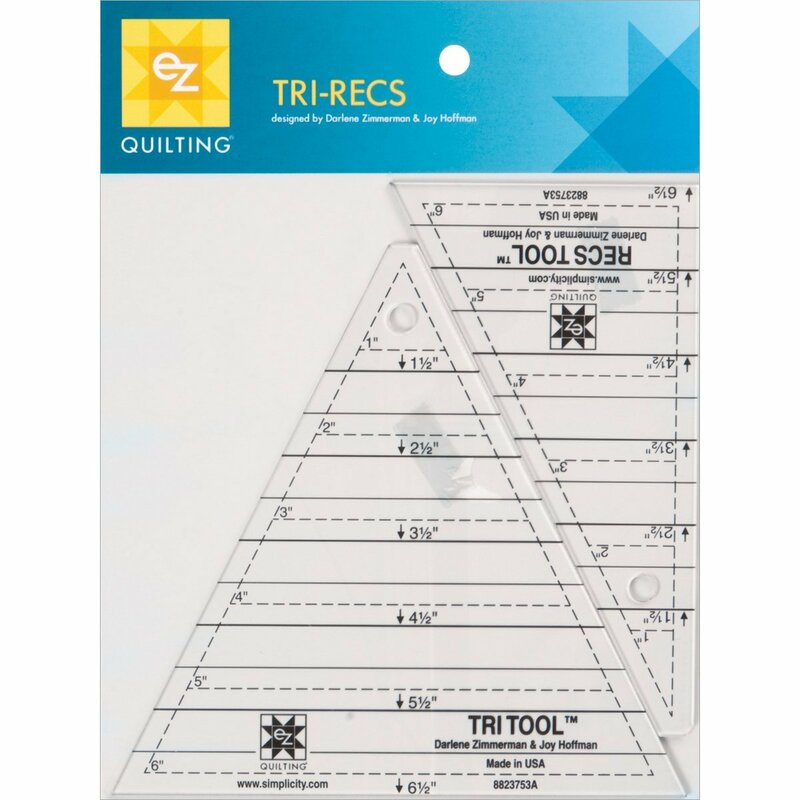 The border marks the beginning of my obsession with the Tri-Recs Ruler. Every quilter should have one. I have three. One to use, one to lose, one to share. As you can see by the corners, I had not quite figured out that if I flipped the triangle I would get a more visually pleasing resolution to the border. 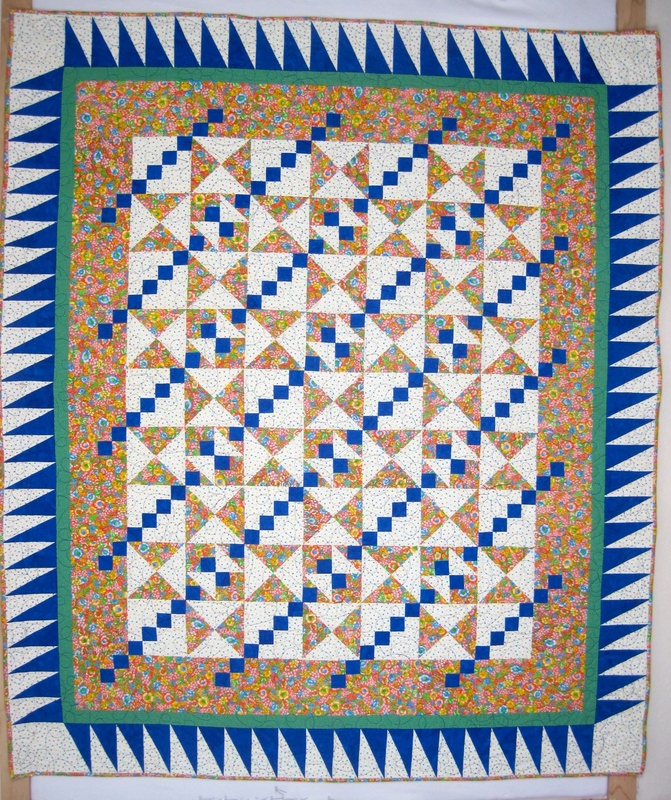 This Amish inspired quilt was also quilted for hire. 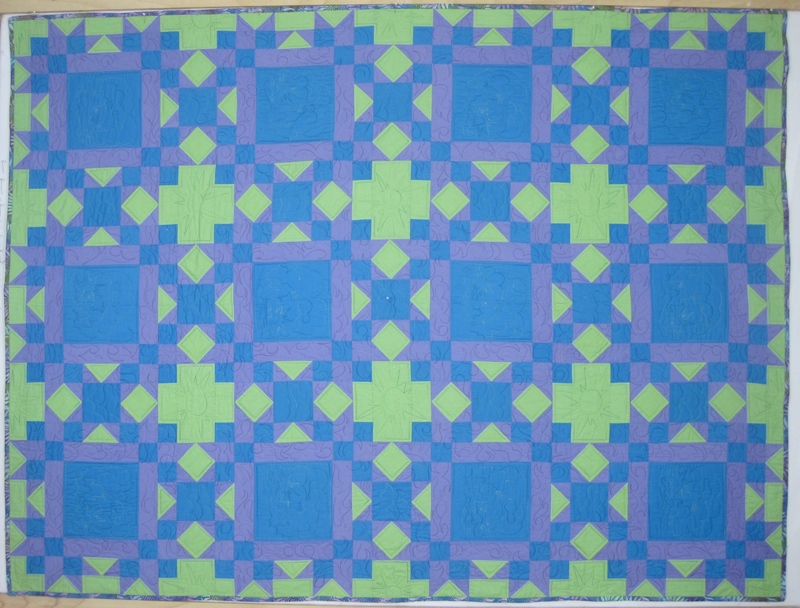 When I made this quilt, back in say 2002, NO ONE was using solids. 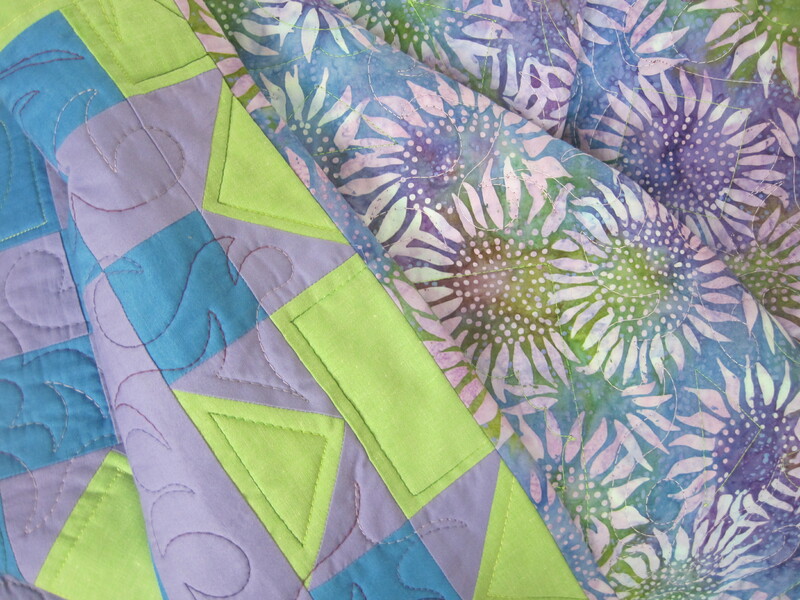 All of the quilters around me had something to say about how boring it was to work with solids. Little did they know what would be happening a decade later. These are all vintage solids. 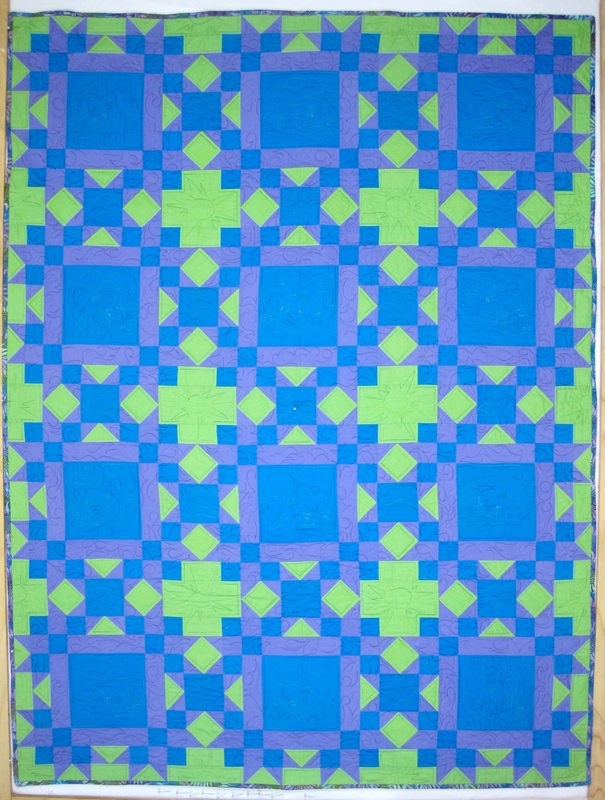 I wish I had had a better command of color when I made this quilt. The analogous color scheme paired with the flat values of the fabric meant I missed the mark. With the right colors this could have been a really amazing quilt. Still, it’s nice. 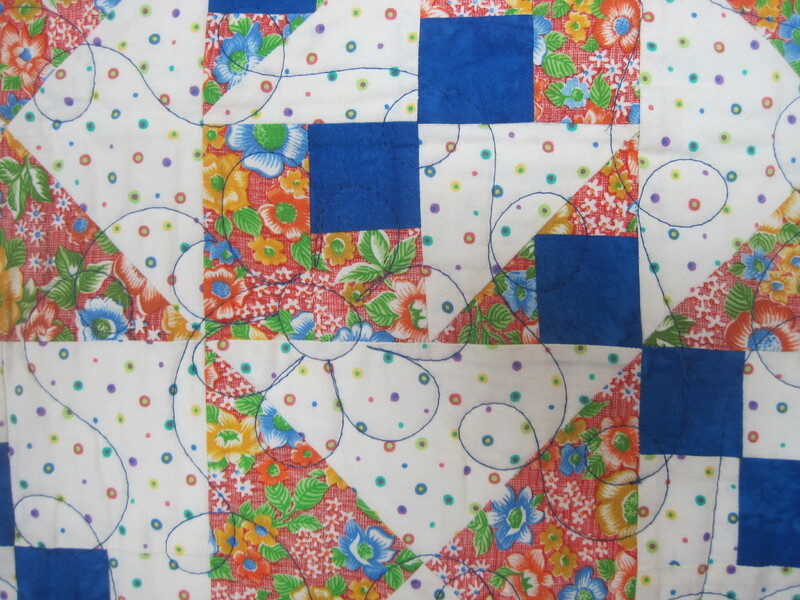 And the quilting is quite clever. I was really proud of that batik backing when I found it. It seemed the perfect complement to the front. 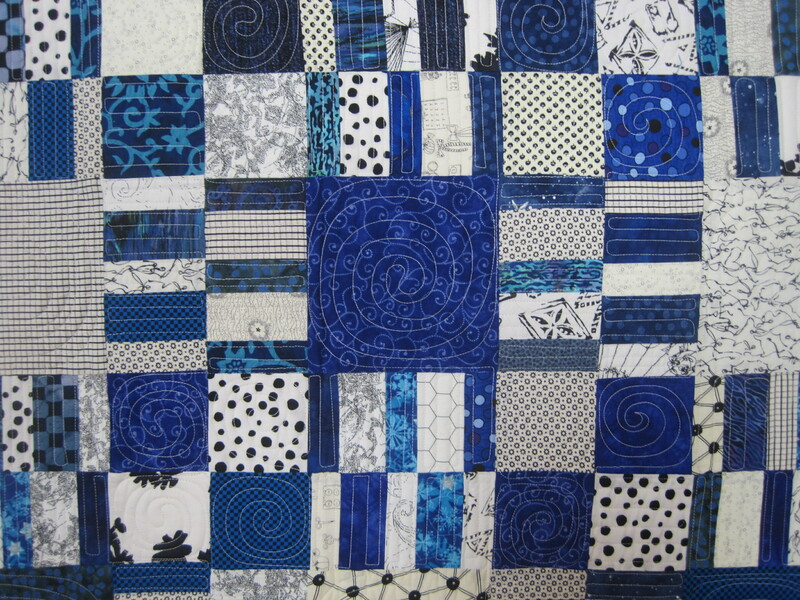 I like this quilt for its well done scrappiness. 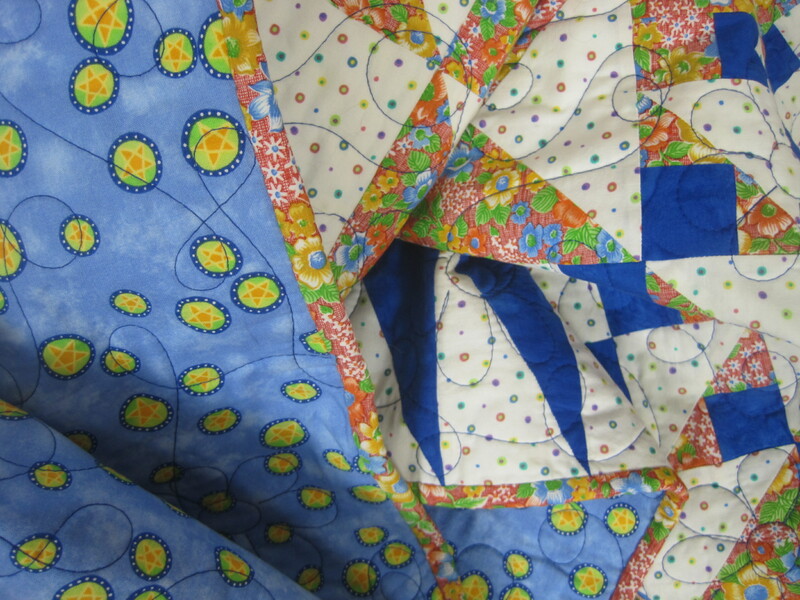 I was just beginning to really get the hang of making scrap quilts–which were also not in VOGUE when I started quilting. The on trend thing back then, was to pick your light, medium, dark, and then a zinger. That was the formula. 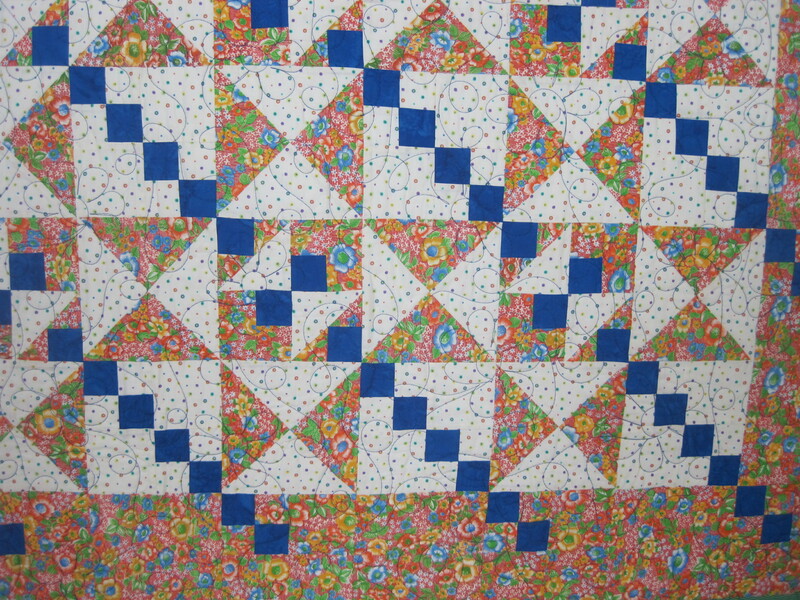 Scrappy quilts were OLD fashion. It is great to look back on my work and see it evolve. 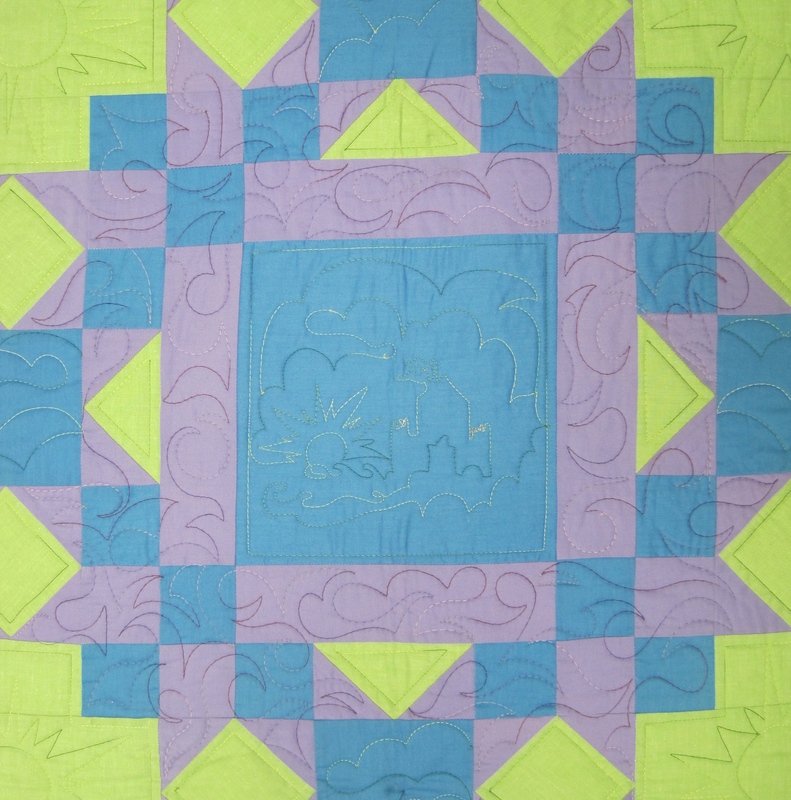 See the me that was just beginning to get it as a quilt maker. 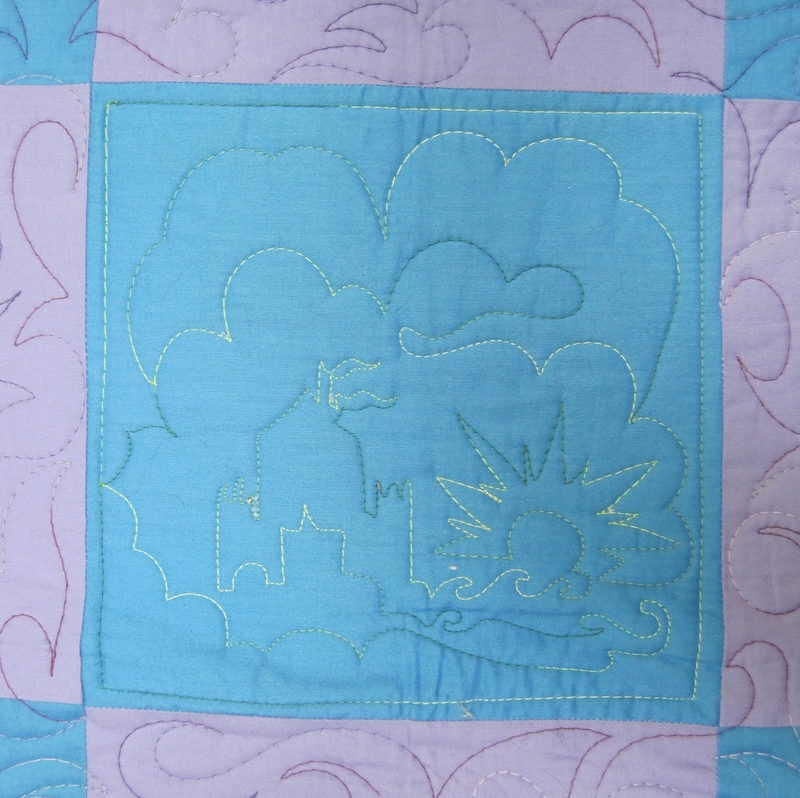 I am pleased with the quilting on this one–which I did myself. 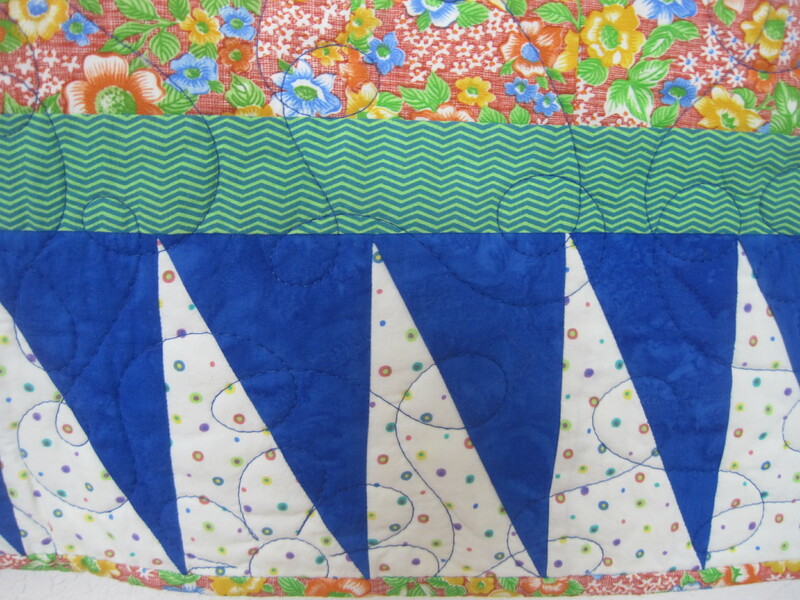 The Great Alaska Quilt Out has loosened my quilting style up a bit. That’s a good thing. I’ve given myself until Sunday night to finish the last 3 1/2 quilts. PS I hope everyone’s New Year is off to an amazing start! 02 Jan	This entry was published on January 2, 2015 at 3:01 PM. 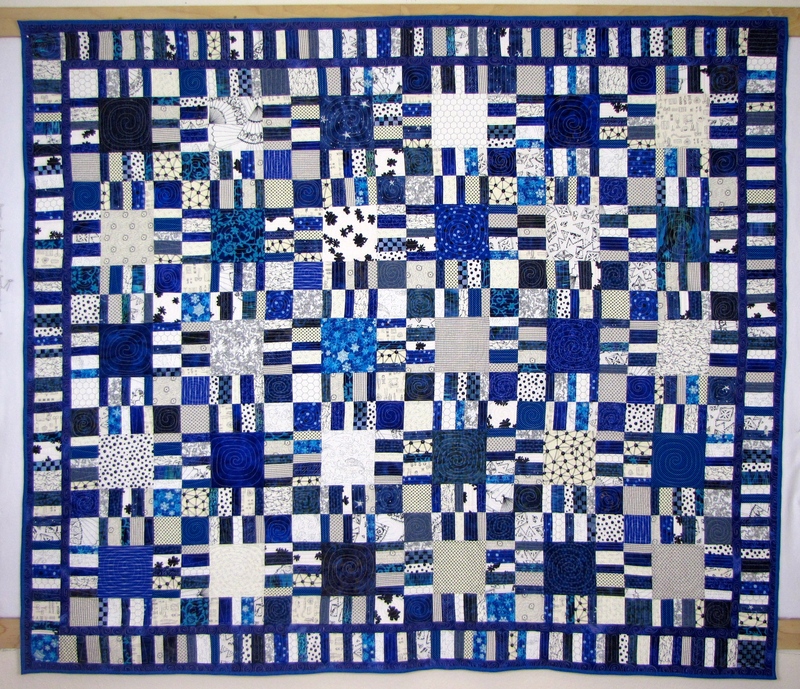 It’s filed under Quilt Stories and tagged Mystery Quilts, The Great Alaskan Quilt Out 2014. Bookmark the permalink. Follow any comments here with the RSS feed for this post. Love all these quilts! 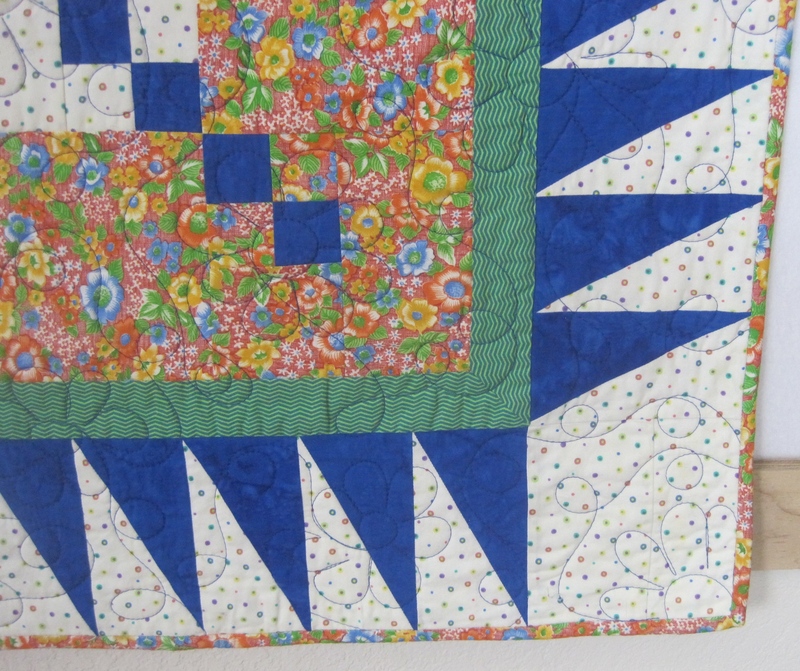 Don’t you just love the evolution of quilt styles??? I have found that I learn just as much from books published in the 70’s and 80’s as i do from the ones today! Ashley, that is so true. It is really fun now to have been making quilts long enough to see the fads and changes in color, in pattern, and in composition. 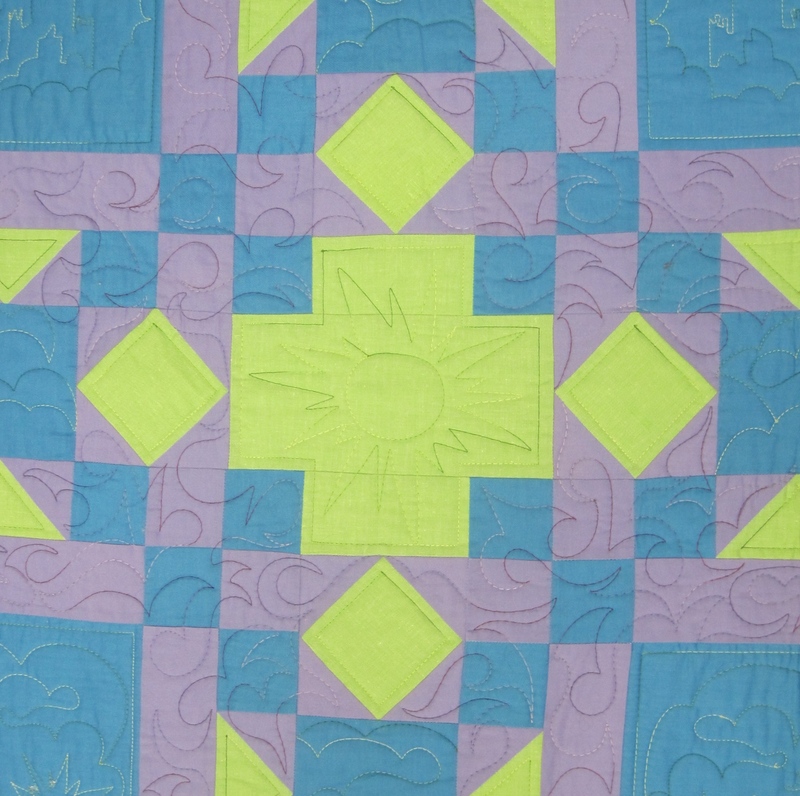 Quilts are a never ending source of conversation and inspiration. Thank you for stopping by! Interesting how we artists all make the same mistakes as we evolve long enough to improve. Even now, when I choose from my closet something I imagine to be attractive enough I err on the side of value. Not enough contrast which my dear husband always hits the nail on the head with what he wears even if the hues are not quite right. My mother always told me he has taught me a lot. Great comments Carole! I didn’t not know that about Uncle Jerry. Happy New to you and yours! I love the scrappy one even though I do like like blue as a colour. 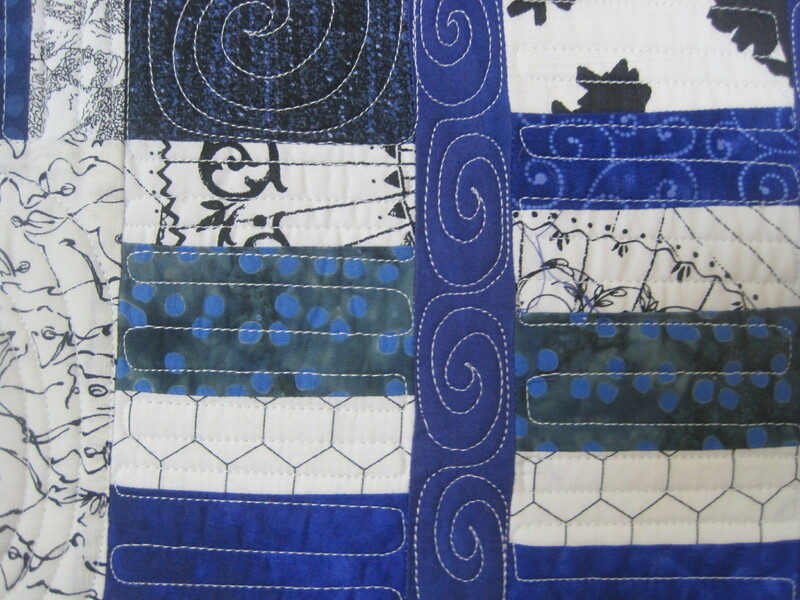 I hope I’ll be able to look back and see a gradual improvement in my quilts as the years go by. How can you not like blue? What makes orange shine? Well, that would be blue! I see we are going to have a lot to talk about in Austin. Deep discussions about orange and blue and all that is between them.